Eco House in Gambia, Gunjur Best Price Promise! Surrounded by its own private garden, this unusual house offers a quiet retreat in the African bush, away from the crowds yet with all the facilities of the small and friendly Footsteps Eco-Lodge nearby. 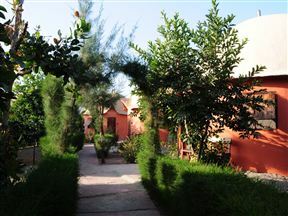 Footsteps Eco-Lodge, Gunjur Best Price Promise! 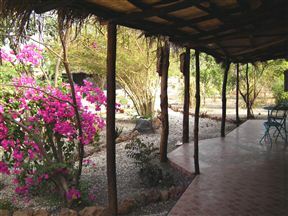 Footsteps Eco-Lodge is a traditional African Village compound situated in Gambia. Guests have a choice of staying in one of the nine huts or two cabins. The huts are furnished with double or twin beds.